ALEXANDRIA, Va.—The Advanced Warning and Response Network (AWARN) Alliance is expanding its mission with the next-generation of emergency alerting to place greater emphasis on news as a source of potentially life-saving information. “The alliance’s steering committee sees AWARN evolving to become more newsroom-centric,” says John Lawson, AWARN executive director. While delivering official alerts, such as EAS and EAN notifications, will remain the primary focus of AWARN, the advanced capabilities of ATSC 3.0 enable TV newsrooms to deliver a wider range of emergency-related information, such as evacuation routes, the location of emergency shelters or even where fresh drinking water and plywood are available, he says. Television stations devote enormous resources to newsgathering that can be leveraged to better inform the public via the advanced features of 3.0 when emergencies arise, he says. The decision to expand AWARN grew out of a series of workshops and focus groups with emergency managers as well as TV broadcasters from three different regions of the country, says Lawson. However, both groups expressed some concern about overusing 3.0’s enhanced warning features, such as the TV wake-up function, geo-targeting and rich media, to disseminate emergency information. Doing so might fatigue the public and ultimately desensitize audiences to bona fide alerts, causing them to hesitate to take action or ignore warnings altogether. “The emergency managers see the best use of ATSC 3.0 alerting being reserved for imminent threat alerting, something that is severe and urgent,” says Lawson. Those from the TV community concurred and said voluntary arrangements are needed with emergency managers about what does and does not qualify for an imminent threat alert. The concept of an on-screen icon for 3.0 viewers to inform them of a possible threat—rather than a banner alert—was discussed. This approach could give viewers control over emergency information, allowing them to click to learn more or to dismiss and disregard. “The point is to develop a system to deliver the rare alert as well as a service that is capable of delivering more content to consumers on a voluntary basis,” he says. Interest in taking advantage of 3.0 to deliver this type of information has come from both news-producing and non-news-producing stations as well as commercial and public broadcasters. The next step is to organize a series of conversations with TV news directors and other news executives at station groups and stations “to develop a framework to begin using 3.0 for a broader range of information that would be valuable for the communities they serve,” says Lawson. Part of those discussions will center on the extent to which TV stations rely upon local public authorities for information versus their own reporting. Lawson draws the analogy to the National Weather Service and weather data and graphics vendors. “There are third-party commercial companies that package weather information and graphics despite the National Weather Service and NOAA offering massive amounts of public data,” he says. The AWARN steering committee has directed Lawson to establish an operational framework, such as recommended practices, for newsrooms to rely upon to communicate emergency information to their audiences via 3.0, he says. “We are also hopeful that expanding our footprint to look at emergency information beyond alerting will help us grow our membership,” he adds. AWARN will be on display in the FEMA booth during the 2019 NAB show. Alerts generated by state, regional, or local authorities already trigger limited broadcast and text alerts to be received by consumers. The addition of AWARN Emergency Alerts means that devices equipped to receive AWARN signals can be easily triggered by IPAWS to display video, photos, audio, and text alerts to a variety of enabled devices. Infrastructure Decisions Could Be Key to ATSC 3.0 Adoption. 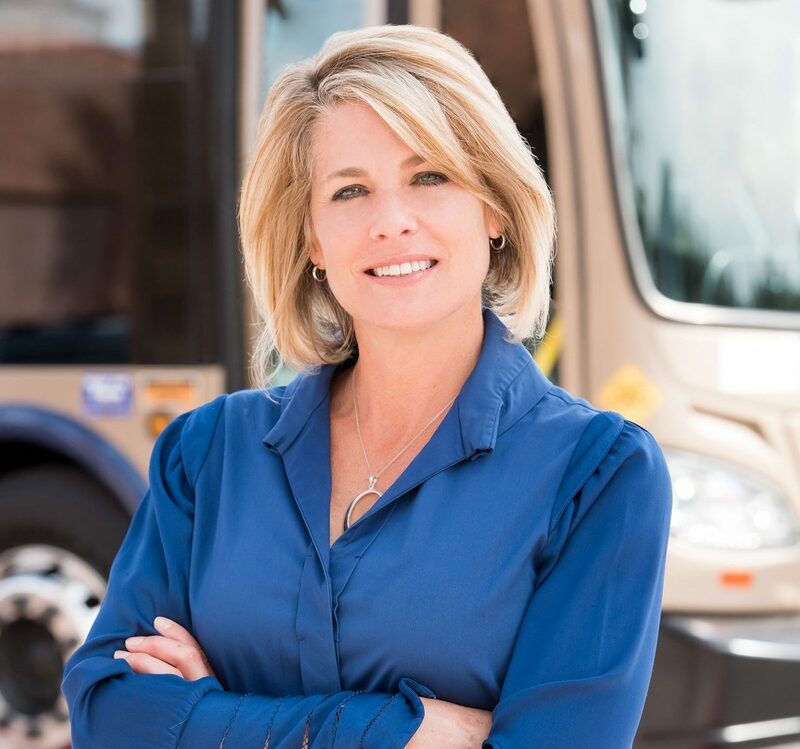 On Monday, April 8th, Tina Quigley, CEO of the Regional Transportation Commission of Southern Nevada, joined a panel of thought leaders in the roll-out of connected transportation. 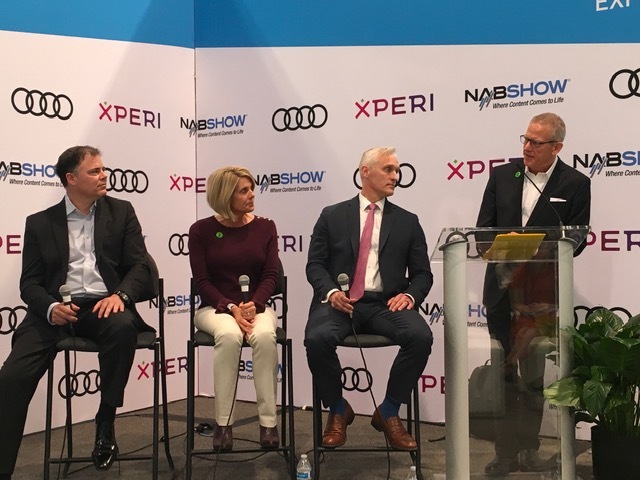 Broadcasters and CE companies are rightly focused on in-vehicle infotainment as a pathway for getting ATSC 3.0 receivers in connected vehicles. However, public sector leaders like Ms. Quigley will make key decisions on communications standards and specs in vehicles and roadside infrastructure — decisions that are vital for adoption of ATSC 3.0. The panel provided an invaluable roadmap for anyone interested in the intersection of Next Gen TV and intelligent transportation. On March 21, 2019, the undersigned met with Chairman Ajit Pai and Alexander Sanjenis, acting media advisor, to provide an update on the Advanced Warning and Response Network (AWARN), which utilizes the ATSC 3.0, Next Generation Television (“Next Gen TV”) broadcast transmission standard. AWARN Alliance Executive Director John Lawson described the evolution of the user experience (UX) design for AWARN advanced emergency alerts using Next Gen TV. To improve over initial prototypes, the Alliance assembled a team of experts in social science, television design, and emergency management facilitation. In partnership with leading emergency managers, they conducted workshops and formative usability testing over September and October 2018 in Riverside, California, Maricopa County, Arizona, and New York City. Participants included emergency managers and other public safety officials from multiple jurisdictions, who collectively are responsible for disseminating alerts to over 40 million people. 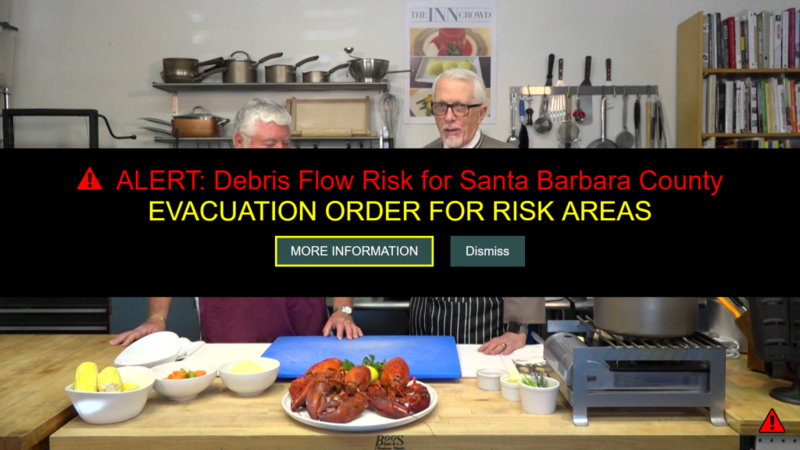 The resulting UX has been utilized for new alerting use cases produced in association Ex Parte Notice: AWARN Briefing with Chairman Pai Page 2 with News-Press & Gazette Company’s KEYT-TV in Santa Barbara, California and the Santa Barbara County Office of Emergency Management. 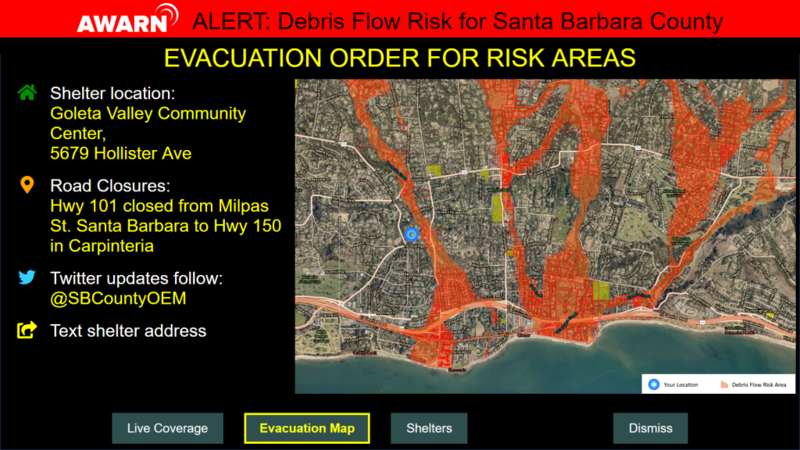 The scenarios are based on an actual “debris flow” event on February 2-3 that forced a mandatory evacuation and closed the 101 Highway. The new UX and use cases will be demonstrated at the NAB Show 2019 next month. Lawson also discussed ATSC 3.0 alerting’s potential as a tool for localized emergency alerts for streaming media, which is the subject of recent legislation, ATSC 3.0 use cases for connected vehicles, and potential synergies between AWARN and Wireless Emergency Alerts. Lawson also briefed the Chairman on the current membership of the Alliance and efforts to expand the membership base for its voluntary advanced emergency communications mission. As one of the original joint petitioners for Next Gen TV approval, Lawson expressed his gratitude on behalf of the AWARN Alliance for the Chairman’s continued support for the voluntary transmission of Next Generation Television and advanced alerting by local broadcasters. At 2:18 p.m. Eastern on Wednesday, Nov 7, 2018, cellphones across the United States emitted the ominous ring of an emergency presidential alert. 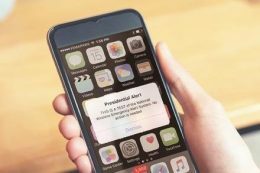 It was the first nationwide test of a wireless emergency alert system, designed to warn people of a dire threat, like a terror attack, pandemic or natural disaster. 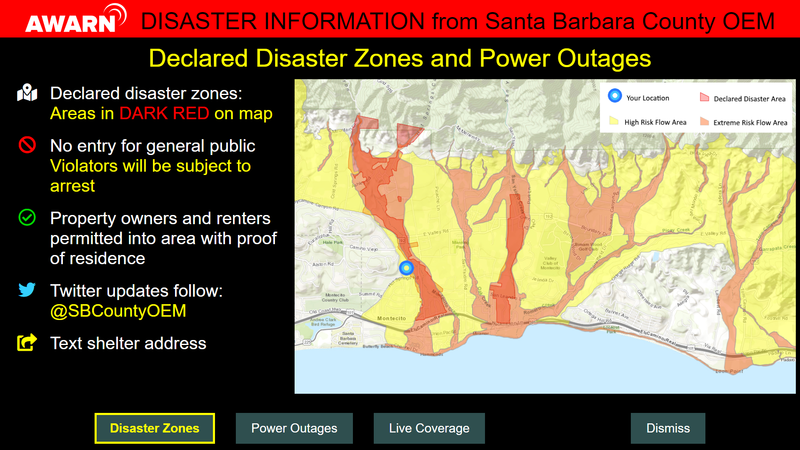 Advanced emergency warning is on the way thanks to a 3.0 commitment from major broadcasters. Call it coincidence. Call it synchronicity. Call it whatever you want, but today three items crossed my desk that left me shaking my head.